Today’s Flash Back Friday comes from Episode 201, originally published in May 2015. 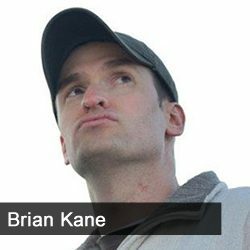 Brian Kane is the host of ProfitCast and an avid podcaster. He has a background in radio and shares tips to Jason’s audience on how you can be a better podcaster, remove those filler words, get listener loyalty and engagement, and much more on today’s show. [22:35] iTunes is implementing consequences for shows that have ‘too many’ reviews. [28:40] What’s a good podcast format?